Pressure vessels, boiler and piping can be of great danger. Numerous explosions of steam boilers with often disastrous consequences in the 19th century led to the foundation of our company. 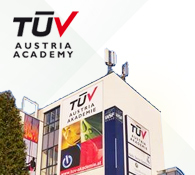 TÜV Austria has been dealing with safety criteria within the steam and pressure technology for more than 140 years. General safety as well as suitability and profitability are of major importance for our customers. Due to the risks and the complexity of the subject there is need for a strong partner with extensive practical experience. Apart from being competent in the field of steam generating pressure vessel, gas-, pressure-, and heating technology as well as material and welding technology, we have gained know-how concerning the transport of gases and inflammable liquids. Trust is good. TÜV is better.